Don't have $25,000 for a Trackman launch monitor like the one down at the golf store? Welcome to the brave new world of smartphone-sized golf technology – the $349.99 Swing Caddie 200. 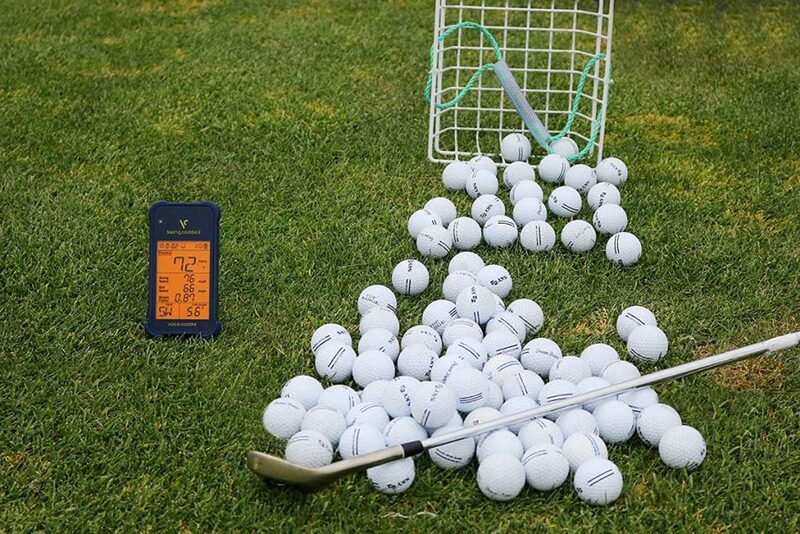 Using the same K Band Doppler radar that your car's radar detector uses, the Swing Caddie 200, better known as the Swing Caddie 2, measures swing speed, ball speed, carry distance, smash factor, distance accuracy and average distance per club. About the size of a smart phone, you set it up 40 to 60 inches behind the ball at address. It comes with a small remote that allows you to program in the club you'll be hitting and to select one of its three modes. In practice mode, it measures a shot's carry distance and adds that shot's values to its database for that club. 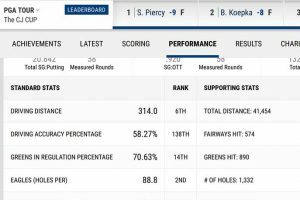 Over time, with more data, you'll know your distance for that club. In target mode, it allows you to program a distance then compare the carry of each shot you hit to that distance. In approach mode, it generates random distances and compares your carry distance to the randomly generated number. To keep things interesting, its scores the distance accuracy of each shot for your use in a personal 10-shot competition for that distance. 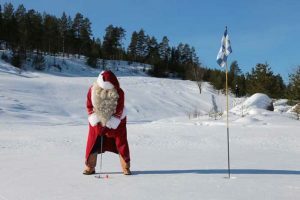 It allows you to look at your average for each club for that day only or for all shots with that club in the database, I guess, to figure whether you're getting longer or shorter with that club over time. The values for what the user's manual calls “aberrant shots” – what you and I would call shanks – are not stored. It will deliver the carry distance audibly after each shot, with five volume levels. And it automatically factors in temperature and barometric pressure into its distance calculations. According to reviews in the golf press and by users, it has some downsides. Because it can't account for turf or green conditions (dry, fast and firm or soft and spongy) it can't factor in roll to generate a total shot distance. Unlike more expensive launch monitors, it doesn't measure launch angle, but relies on pre-programmed lofts or lofts inputted by the user from his or her own clubs. Nor does it measure spin rates. 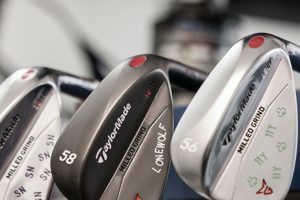 Some users report that it's accurate for some clubs, drivers and middle irons, especially, but that it gets squirrelly with hybrids and the highest-loft wedges. Some users note that if it's not level on the ground behind you, its measurements can be wildly off. Its harshest critics say that because it doesn't measure spin or launch angle it's not a true launch monitor. 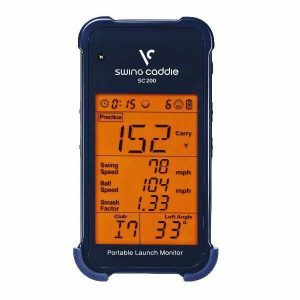 Defenders argue that for $349.99 the Swing Caddie 2 gives you most of what a high end launch monitor delivers at half the price of more expensive devices in its class. Nonetheless, the Swing Caddie 2 will likely make going to the range more fun than just mindlessly pounding balls. Eighty yards? 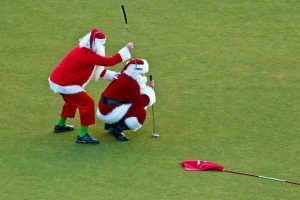 Is it sand wedge? In target mode, you dial in 75 yards and start trying to hit the ball 75 yards. 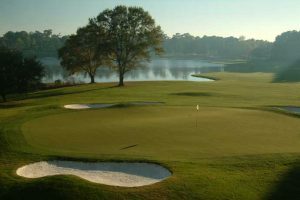 Based on the data delivered instantaneously after each shot, you'll soon know what swing with a sand wedge flies 75 yards. By the way, if you're not familiar with the term “smash factor, that's the quality of the strike, derived by dividing the ball speed by the swing speed. That ratio represents the efficiency of transfer of power to the ball. A smash factor of 1.5 from 100 mile-an-hour swing speed means the ball left the clubhead at 150 miles an hour. The higher the loft of the club, the lower the smash factor. The typical low-handicap amateur has a driver smash factor of 1.4, while PGA Tour players come in at 1.5. A quality smash factor for a wedge is 1.25. A good example in context: You make a normal speed swing with a wedge but hit it fat, and the ball limps into the air and goes half your normal distance. As you might imagine, the smash factor for that shot would be well below 1.25. The Swing Caddie 2 is 5.89 inches high by 3.20 inches wide by 1.08 inches deep, meaning it'll fit in your pocket. Its makers claim the Swing Caddie 2 is accurate from 33 to 350 yards. It uses four AAA batteries, which deliver about 20 hours of use. It comes with a one-year warranty. The Swing Caddie technology was first unveiled at the 2016 PGA Merchandise Show in Orlando. It's available through Amazon and other online retailers, but make sure you're looking at the Swing Caddie 2 and not its predecessor, the Swing Caddie 100. 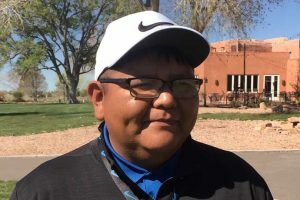 New Mexico Golf News is a locally owned and operated news site devoted to coverage of all things golf in New Mexico. 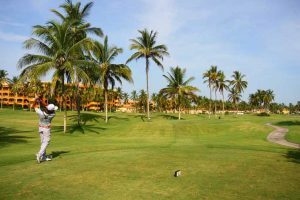 It also carries features on golf travel for players who want an honest appraisal of potential golf destinations outside the Land of Enchantment. 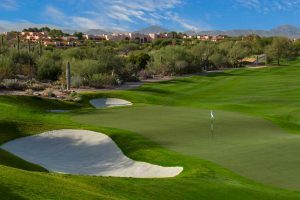 © 2017 New Mexico Golf News.